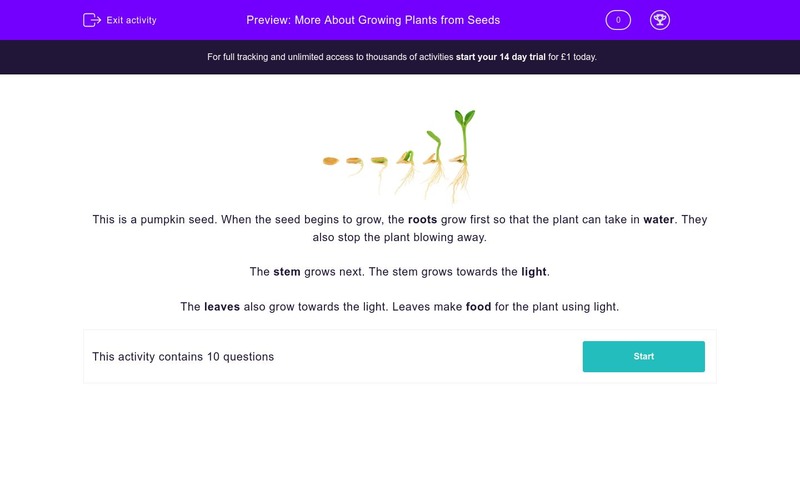 In this worksheet, students answer questions about how plants grow and describe the growing sequence. They apply their knowledge of the function of plant parts. This is a pumpkin seed. When the seed begins to grow, the roots grow first so that the plant can take in water. They also stop the plant blowing away. The stem grows next. The stem grows towards the light. The leaves also grow towards the light. Leaves make food for the plant using light. 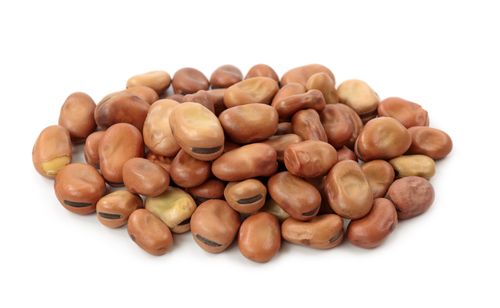 To make these beans start to grow they need two things. Which two things do they need? Which part of the new plant grows first? The roots grow first because they have two important jobs to do. Can you find them in this list? To stop the plant blowing away. To grow towards the light. 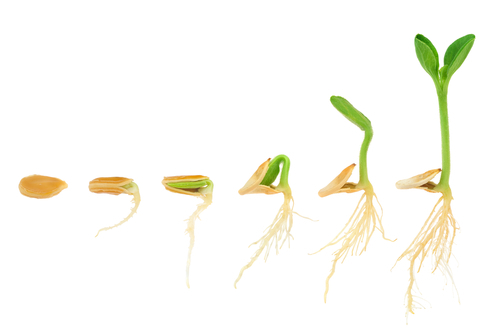 After the roots, what does the seedling grow next? This plant part grows towards the light and carries water from the roots. What is it called? What grows after the roots and the stem? Which part of the seedling makes food for the growing plant? Look at this growing seedling. As the seedling grows, what two things do you notice? To begin to grow, the seeds needs water and the right heat. 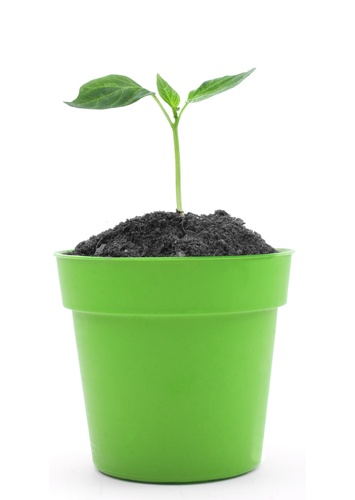 The first part of the plant to grow is the root, as this allows the plant to take in water. The new plant cannot grow without water. Also, if the plant is growing in soil, the roots are very important to stop the plant blowing away. 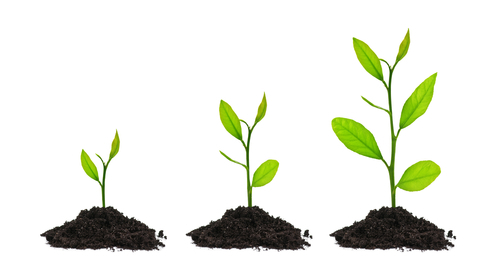 When the seed first starts to grow, it is called a seedling. The seedling's roots grow first. After that, the stem and the shoots grow. The stem grows upwards towards the source of light. It is used like a big straw to carry water from the roots to the leaves and other parts of the plant. Once the stem has grown, the leaves start to grow off the stem. Leaves grow towards light, as the plant takes in light through the leaves. The food the leaves make helps the plant to grow more leaves and to grow taller. As a plant grows, it develops more and more leaves. This means that the plant can take in more light to grow even more leaves. It also means that the stem has to grow in order to carry the weight of the leaves.